Yesterday, much of Asia and parts of North America witnessed a solar eclipse. The result was beautiful. 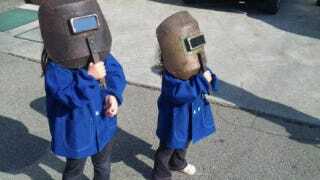 However, add in some welding masks and some little kids, and the result was adorable. Check out the above gallery, with pics of miniature eclipse gazers from across Japan.